Last week I wrote about Customer Service and Twitter and argued, among other things, that first experiences with social media are not necessarily sustainable. There is unrealistic optimism that social media can solve all problems in Customer Service (and Marketing, of course). Now, when we come to use of social media by B2B sales people, we observe the opposite: I hardly hear anything. It is as if Social Media had nothing to do with Sales. If sales is largely a social activity based on personal relationships and if social media supports more personal, bi-directional communication in real-time, one would expect sales people to be avid early adopters of social media, right? They are always going after their sales quota and that keep them very focused on results, not hype or future promise. For example, as of 2011, less than 2% of the people in the world uses Twitter. Even in advanced economies, penetration of Twitter among business decision makers is still in the low single digits. Facebook has more penetration, but its use in business is still rare. LinkedIn is probably the most useful in B2B today. While checking the LinkedIn profile of new prospects as preparation for important meetings is a routine now, a more active use of Social Media for engagement is still an exception. Another reason limiting use of social media in sales is technology. Social media has been widely adopted by consumers, but business tools (cell phones, existing CRM systems, corporate communications, etc) lag behind the curve integrating with Social Media. Have you had someone return a voice message lately? Do you still send quotations by fax? Can you trust people read every single e-mail message you send? As social media gradually increases its participation in the routine of most people, it will become more and more difficult to engage with customers (be them consumers or business buyers) through classical channels. People will simply stop checking voice mail. The day a Skype message or a Twitter DM is not only more acceptable, but also more effective than an email in getting people’s attention is not very far in the future. I talk to a lot of sales people these days. Most of them are very aware of the role social media will play and many have already started experimenting with personal social media engagement tools. They connect with contacts in LinkedIn and follow customers in Twitter. As business software tool vendors race to incorporate social media and corporations catch up to consumers on its adoption, we approach the convergence point where mainstream business communication will shift the same way consumers’ have. Change is gradual, but manifestation of change is not. Are you ready for that shift? Do you have a different opinion? Let us know (just don’t leave me a voice message – I no longer have a voice mail system). Very important post that I’m glad you stated so well and so succinctly. I think people who are responsible for sales, as you say, are just about the bottom line. This can mean 1 of 2 things may happen. In scenario 1, they stick only with what they know because it has worked. In scenario 2, they drop everything old in favor of the bright, shiny object that is promising them an increase in sales over what they have now. With a little extra time, salespeople could realize that melding and mixing approaches, especially in the B2B world, is the way to go. I’m not sure that I would advise turning off a voicemail system just yet because there are some people who don’t even really like computers still. There are other people who prefer to only talk on Twitter. One needs to be available based on the requests and needs of his or her customers, and the go from there. Spot on, as usual. Consumers are ahead of the communications technology curve and biz is playing catch up. But the game is certainly changing and sales will have to keep up. It used to be all you had was a phone and snail mail. Now the average person has 2+ phones, 2+ emails, Facebook, LinkedIn, Skype, Twitter, SMS, BBM…the list goes on. One step ahead of me…as usual. 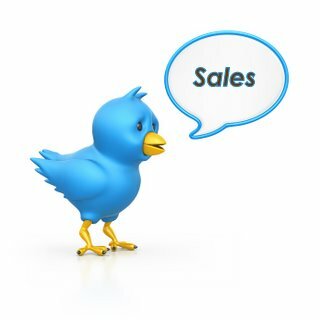 Previous Previous post: Customer Service through Twitter – Sustainable?